Grief is as unique as a fingerprint… or in our case, a nose print. There is no right or wrong way to mourn, but there is a difference between healthy grieving and unhealthy grieving. Acknowledging the loss of a loved one in an open and honest way, honoring that life that meant so much, helps to start us on the path to healthy grieving. Americans are becoming more sophisticated about the relationship between humans and animal companions. With this growing awareness comes the recognition that grieving the loss of a pet can be as painful, and in some cases more painful, than losing a human relative. Finding ways to ways to commemorate the love you and your pet shared is part of your grief journey. Here are some suggestions. Just as with our human loved ones, there can be the need to see your companion prior to their cremation. 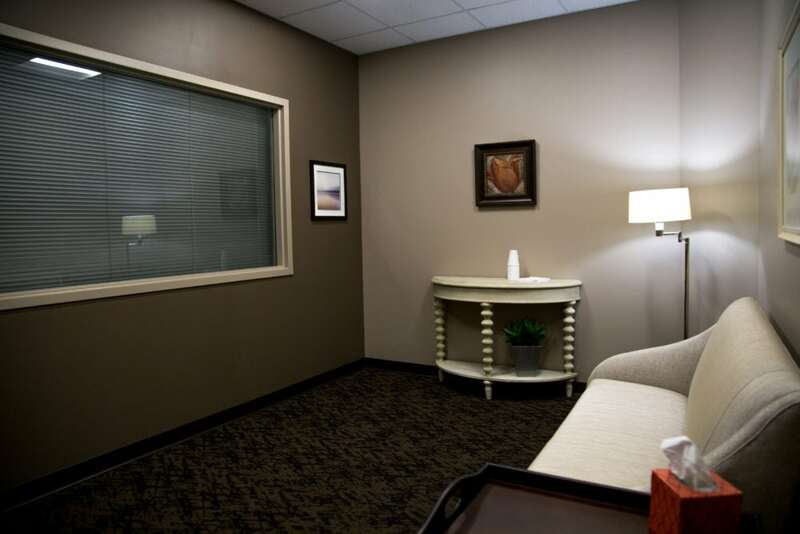 Companions For Life offers designated and private rooms in which you can spend time with your cherished companion before the cremation takes place. This time of viewing is limited to immediate family or close friends who wish to gather together for a final goodbye. 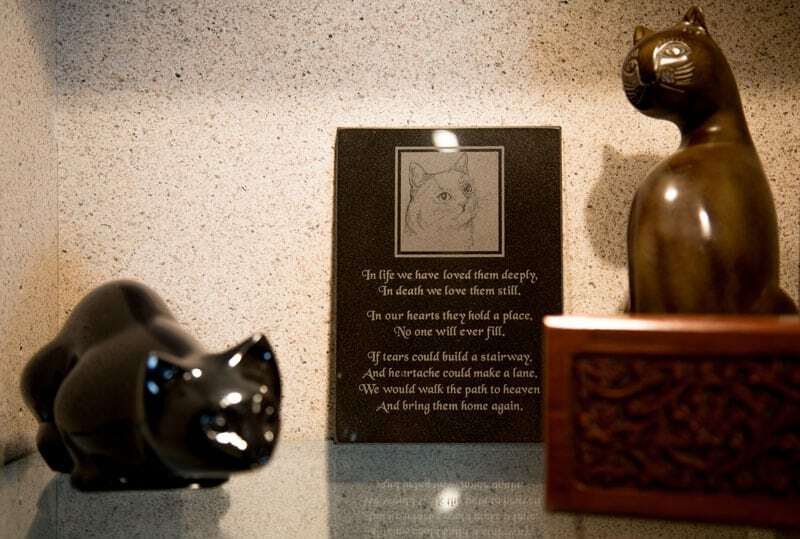 An important part of a memorial is selecting a personalized urn or keepsake to help celebrate what made your pet companion so special. Urn selections vary greatly in materials of construction and type. They may also be personalized with names, photos, and various other items to reflect the life that your companion shared with you. Some pet parents even select an urn that can be buried with them at the time of their passing. Keepsakes include small urns or jewelry pieces that hold a small portion of cremated remains. Just as with urns, there are a variety of options to meet your preferences. Companions for Life offer a wide variety of options on this website at Memorial Products. For specific or highly personalized selections, we suggest calling us directly, so we can work with you on finding the perfect memorial item. Companions for Life has created a special section of our website for families looking to memorialize their companion. This section called, Remembrances, offers pet parents to add a custom life story and a photo of their companion. Some families select to also add information about any gathering or a suggestion for memorial donations. Friends and family may want to express their support, and a donation to an organization supporting pets in your companion’s name can be a wonderful way to honor your pet’s life and passing. Families may choose to hold a memorial service or intimate gathering to commemorate the life of their beloved companion. These can often be held in the family home, backyard or even a park. This event can be as simple as inviting over a few friends, that you know will be supportive, to talk about your experiences. Some may prefer a more formal service with readings, prayers or music. And for others, a small immediate family gathering is most comforting. While holding a funeral or memorial service for a pet may not be for everyone, many experts in grief and bereavement strongly believe that holding some sort of ceremony or ritual will help in your grief journey. Prayers, Blessings, Meditations– Religious beliefs may help when designing what kind of service you select. Songs, Poems, or Readings– There are many options for poems and readings that can reflect your grief or what your companion meant to your life. Music offers a unique way to express your loss and connect memories. Sharing Memories– Sharing of personal memories and hearing stories from others offer a wonderful display of how your companion touched you and others during their life. Tribute videos and photos– With the technology available today, we can hold our loved ones closer than ever with photos and videos. Displaying these at a gathering can speak directly to who your companion was. Closing of the Service– Every service needs a defined end and having a pre-planned closing or final goodbye can alleviate other attendees from not knowing what to do next. Building a memorial garden or planting a memorial tree, representing a living memorial to your companion. Encouraging donations in your companion’s honor be made to organizations that benefit other companions. This can also be added to their Online Remembrance for family or friends to easily find. Establish a designated location in your home that will hold the urn, photos and other items that hold treasured memories close. Create a diamond from your companion’s cremated remains. 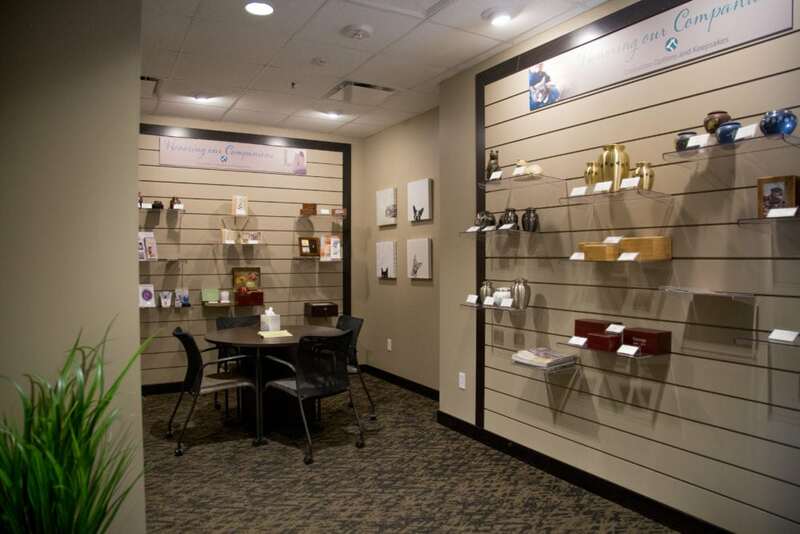 Companions For Life has an exclusive partnership with LifeGem that can create certified, high-quality diamonds from cremated remains or a lock of hair. Holding a memorial walk with close friends, family or other pet owners. Walking the same path that you and your companion took when they were with you can be a great way to memorialize their life.